Don't miss this chance to see one of the most beautiful places in Portugal, if not Europe. 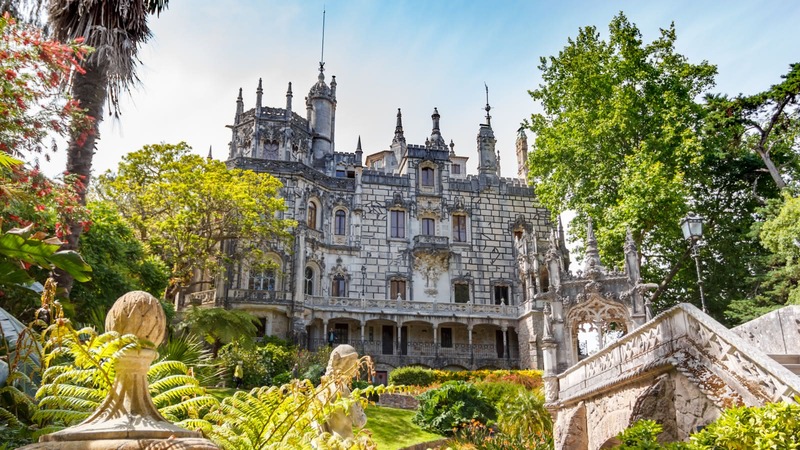 Experience a stunning medieval town surrounded by palaces and mountains, straight out of a fairytale and all in a half-day trip from Lisbon. 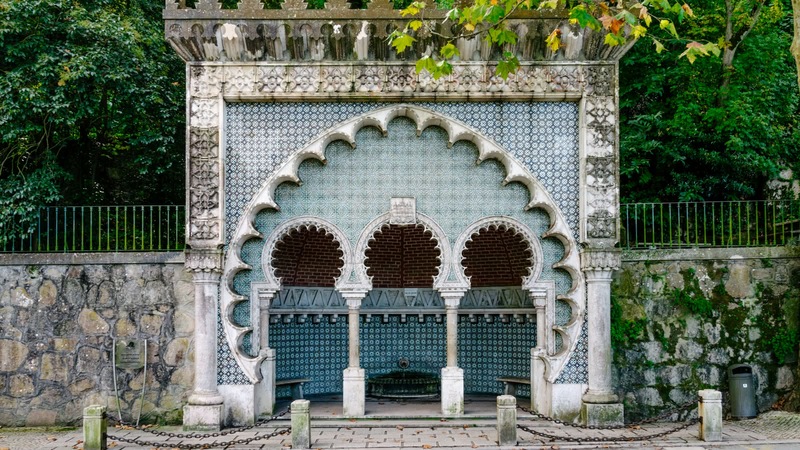 A former playground for the royal family, Sintra's exquisite 19th Century architecture makes the entire town a UNESCO World Heritage Site. 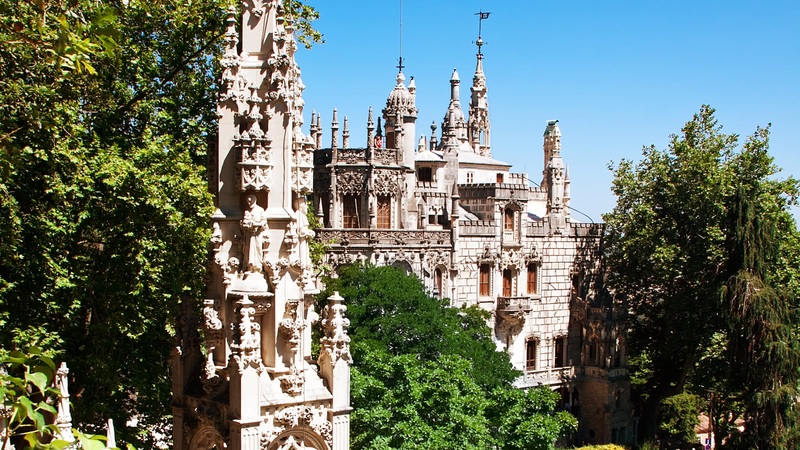 Your half-day trip to Sintra starts by the Camões Monument in Largo de Camões and finishes by Quinta da Regaleira. Bring your cameras and enjoy this spectacular day out with us. 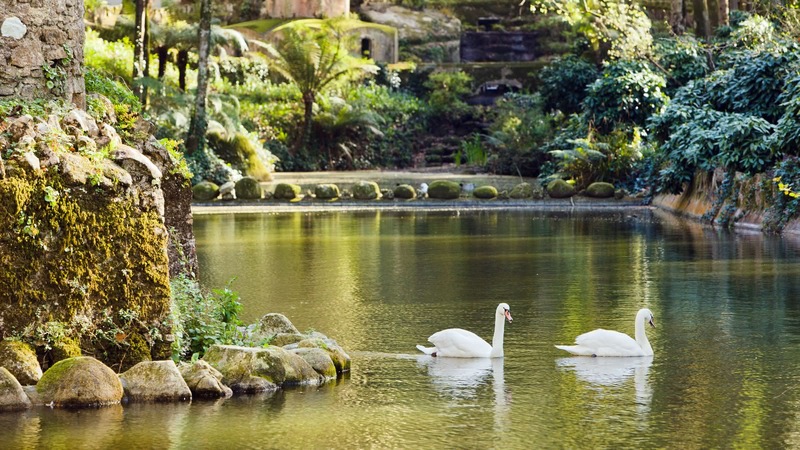 You won't forgive yourself if you miss Sintra! 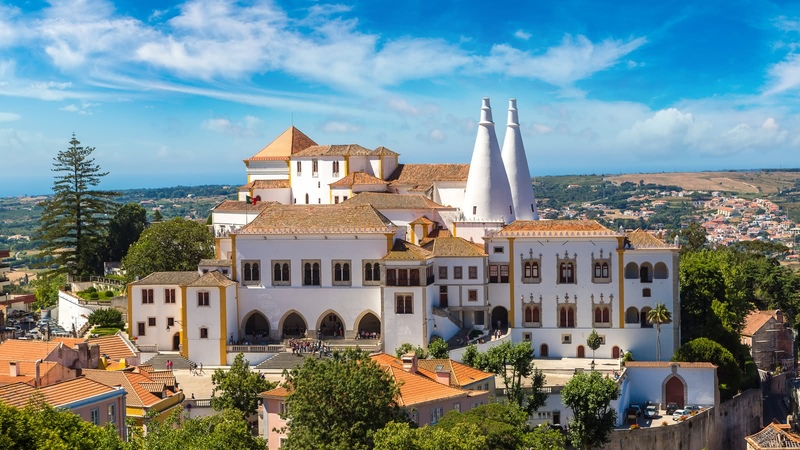 As you arrive in Sintra, the charm of the cobbled stones and traditional shops will immediately take you in. Then as you look up towards the hills, you will see different castles speckled upon the horizon. 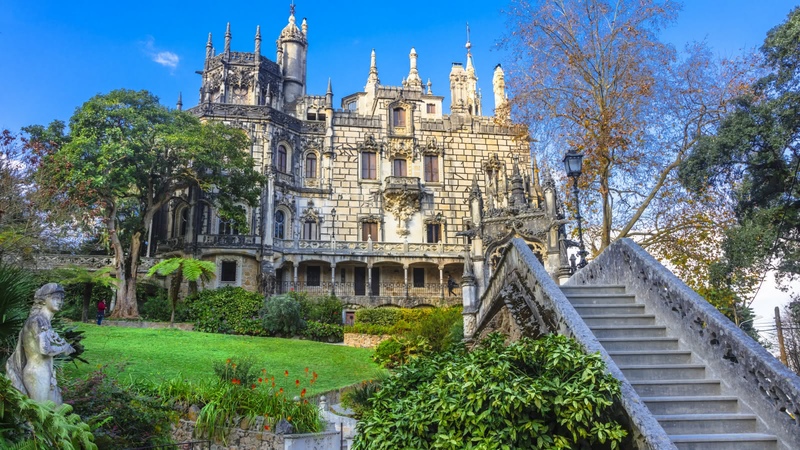 We will visit the spectacular National Palace, the best-preserved royal residence in Portugal. Your guide will give you an insight into the lives of the kings and queens who have lived here. What might be even more impressive than the ancient castles are the numerous gardens. Your ticket comes with entrance to the Regaleria Park that is filled with lakes, grottoes, hidden tunnels and beautiful ruins. 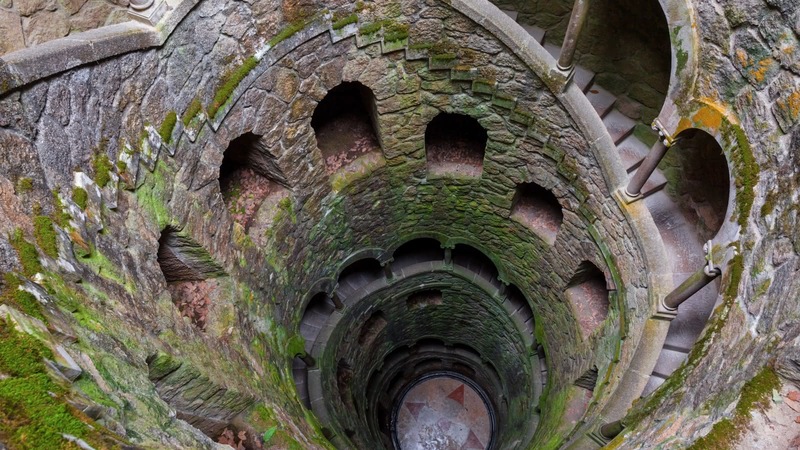 Discover the Initiation Wells hidden in the garden that used to be the site of rituals. Put on your walking shoes and get lost in this enchanted town! We did the Sintra tour with Raquel today and she was wonderful! The tour was quite entertaining, informative and insightful. Highly recomend their tour for your Sintra visit! Did the paid Sintra tour with Jamie and had a great time. He was very knowledgeable and knows a lot of fun facts about the city. 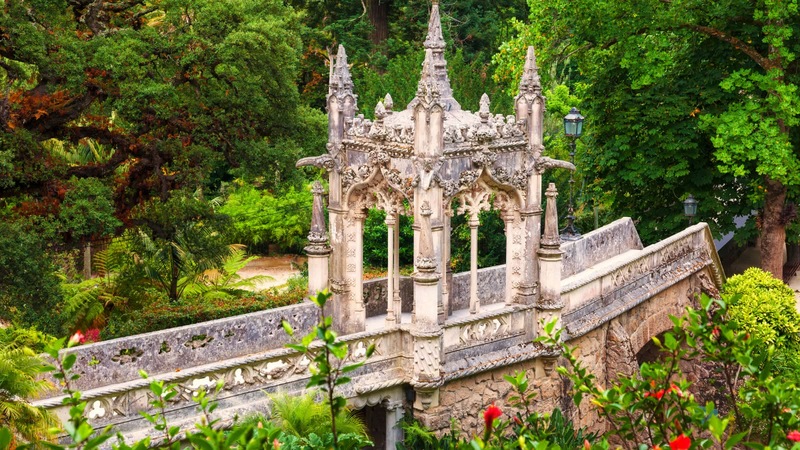 Our Sandemans tour with Jamie was definitely the best way to discover Sintra and its history, with a full visite of the Quinta da Regaleira castel and garden. I highly recommend taking this tour, especialy with Jamie, who is an amazing guide!e had a great time. I recommend doing this tour to any one visiting Lisboa, since Sintra probably has the best sights in the area. 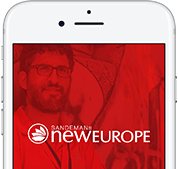 Where the famous FREE Tour gives you a good overview of the city, the themed select tours give you a more in-depth look at some of the most fascinating periods or neighbourhoods of Lisbon.